These electrifing characters reflect the Luminescent glow of UV. 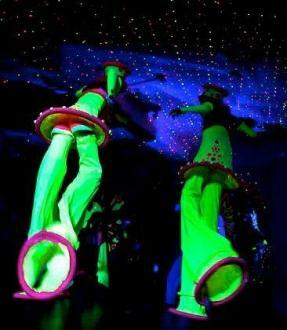 Larger than life in proportion and emanation, they come equipted with twirling props, groovy dance moves and a general air of wonderfulness! 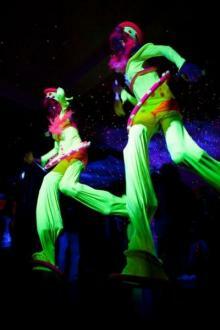 Perfect for Party environments, working in well with creative lighting production. 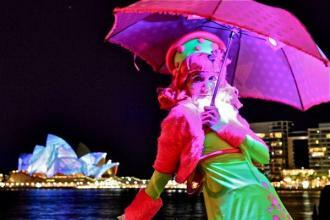 The UV Fluoro Dollies have featured as a major entertainment component for VIVID Sydney light Festival 2009 and 2010. 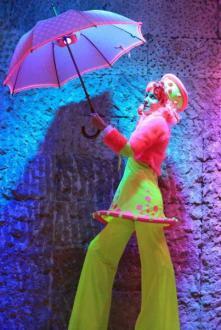 These characters now come equipted with their own UV Lights inside Umbrellas!